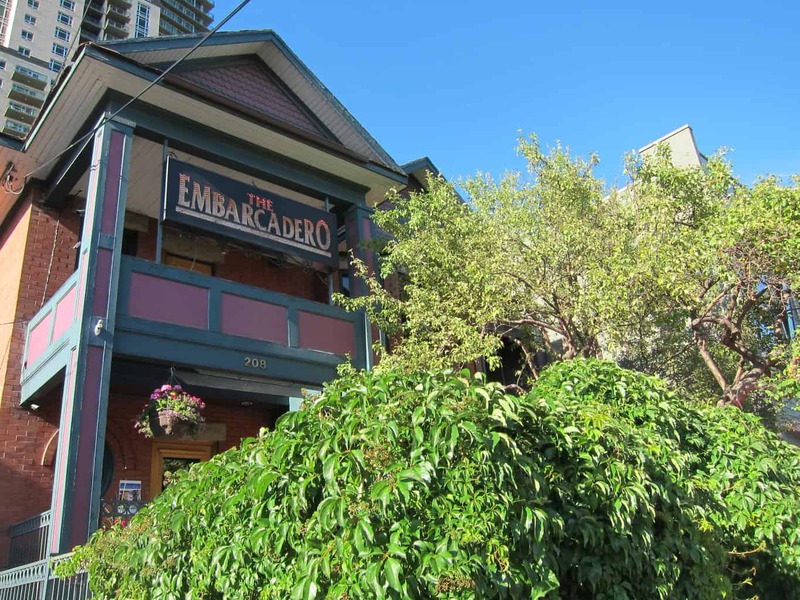 The Embarcadero, the eastern waterfront of the Port of San Francisco, also an oyster bar stood on the east side of 17th Ave in Calgary. 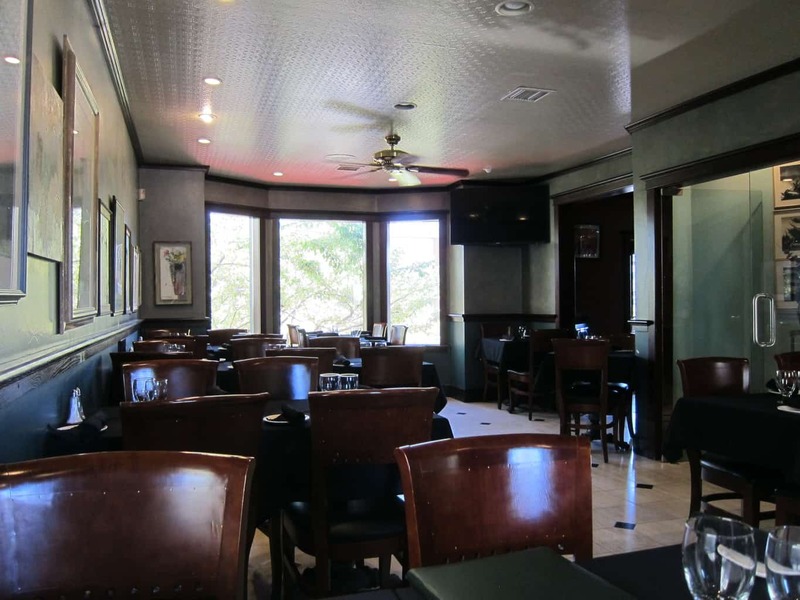 The restaurant is disguised as a home, which makes it so easy to miss. We’ve actually drove by it so many times in the past without notice. Kev and I were looking for restaurants for our “oyster-themed” date night and came across The Embarcadero which offers $1.25 oysters all day everyday! 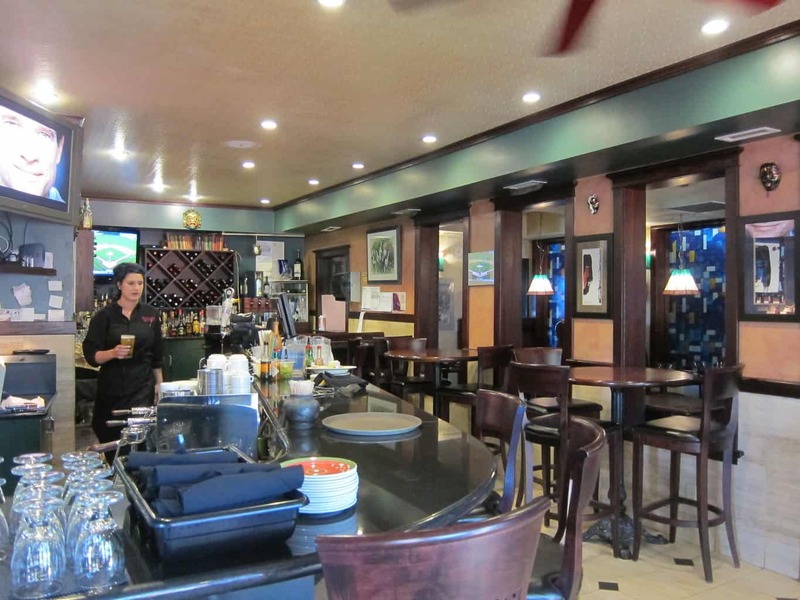 That sweet deal has certainly enticed oyster-hungry people like us into visiting this unexplored gem in town. The restaurant boasts the largest selection of fresh oysters in Calgary with at least 6 varieties of northern Atlantic and Pacific oysters. If you’re not familiar with the different types of oysters, there is a one-line description about how each of them tastes. If you’re still clueless what to order, you can always opt for the oyster platter ($25), which includes one of each variety! That night, we ordered 10 of the daily featured oyster – malpeque cocktail ($1.25 each). 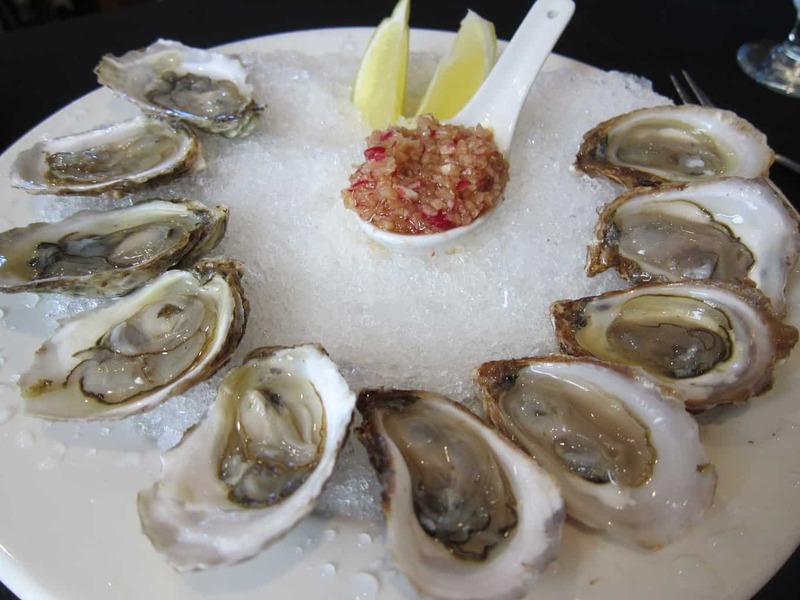 As the name implied, malpeque cocktail oysters were harvested from Malpeque Bay, Prince Edward Island. They were relatively small in size and had a mildly briny flavour with a metallic finish. What I loved was the housemade garnish, created with garlic, shallot, soy sauce and sesame oil. It sounded like a classic Asian sauce, eh? But that Asian flare was what made it outstanding! They also had a small bottle of housemade hot sauce made with banana pepper and garlic. Tasted a bit like Tabasco, minus the sourness. For extra flavors, try the oysters with both the garnish and the sauce!! 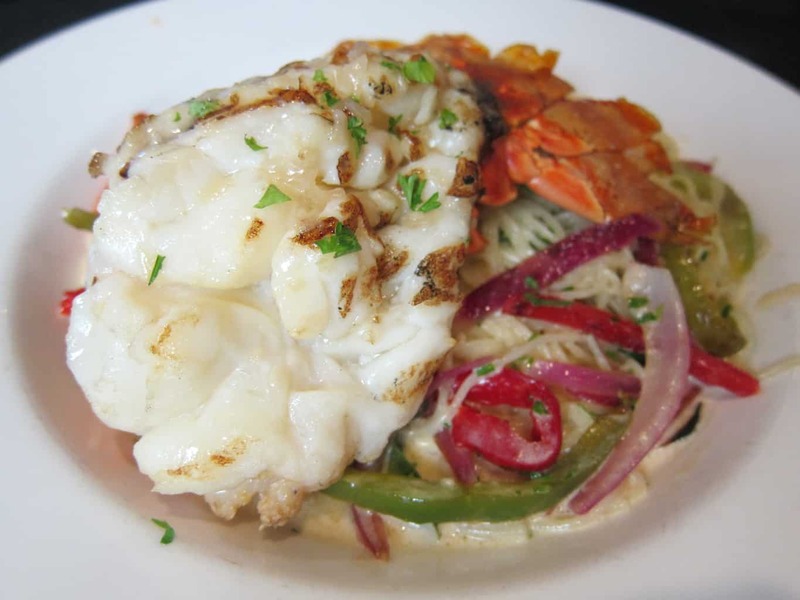 Besides the oysters, Kev and I shared a plate of cuban lobster tail angel hair pasta ($29). We were wooed by the succulent, colossal lobster tail! The generous portion made it well worth the money. Though the lobster cream sauce was a bit too light and bland. I had to shake a little pepper and hot sauce onto the dish to actually taste something. As for the hot serving dishes, we weren’t impressed so much by the pasta. It might be a different story for the entrees. We will probably go back for the oysters. Maybe try the oyster platter next time, with the appetizing freshly baked buns that were so soft and buttery!